Google helps keep your account safe from hijacking with a defense in depth strategy that spans prevention, detection, and mitigation. 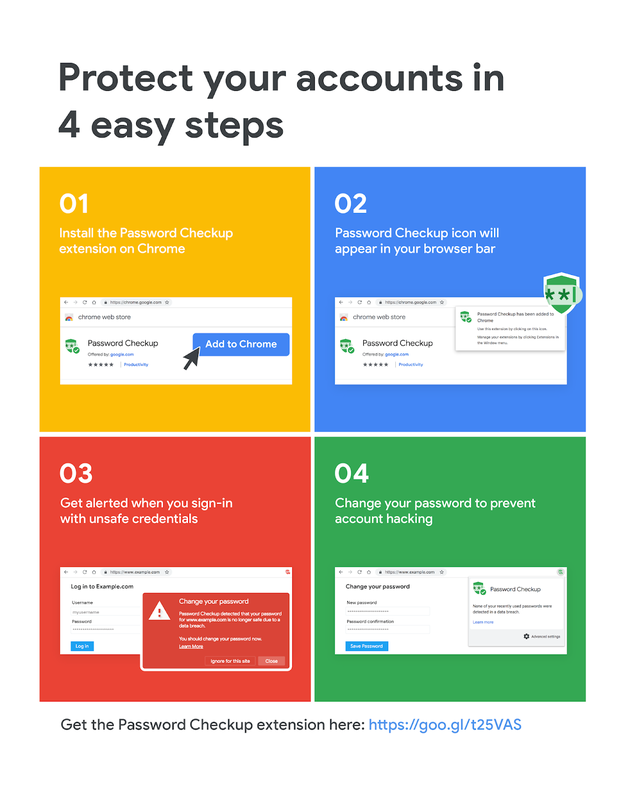 As part of this, we regularly reset the passwords of Google accounts affected by third-party data breaches in the event of password reuse. 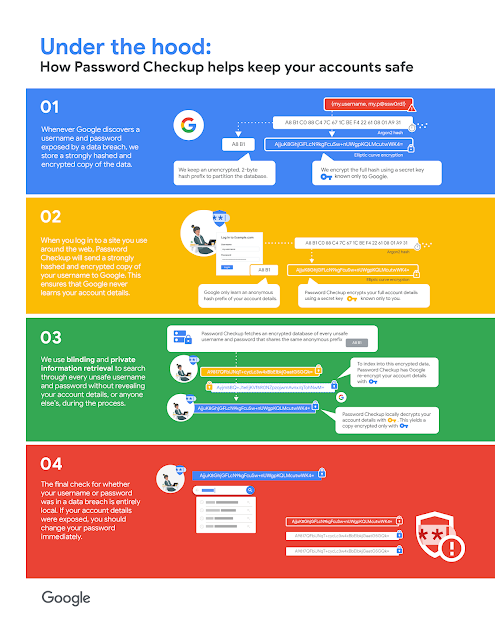 This strategy has helped us protect over 110 million users in the last two years alone. Without these safety measures, users would be at ten times the riskof account hijacking. At a high level, Password Checkup needs to query Google about the breach status of a username and password without revealing the information queried. At the same time, we need to ensure that no information about other unsafe usernames or passwords leaks in the process, and that brute force guessing is not an option. Password Checkup addresses all of these requirements by using multiple rounds of hashing, k-anonymity, private information retrieval, and a technique called blinding.